When I was in college, I had this phase with nail paints... I just hoarded them... and then that moment came when I just stopped using them. Its been like 3 years that I've used nail polishes regularly. So, now I'm not a nail paint hoarder but i use nail paints on a regular basis. That was about me! 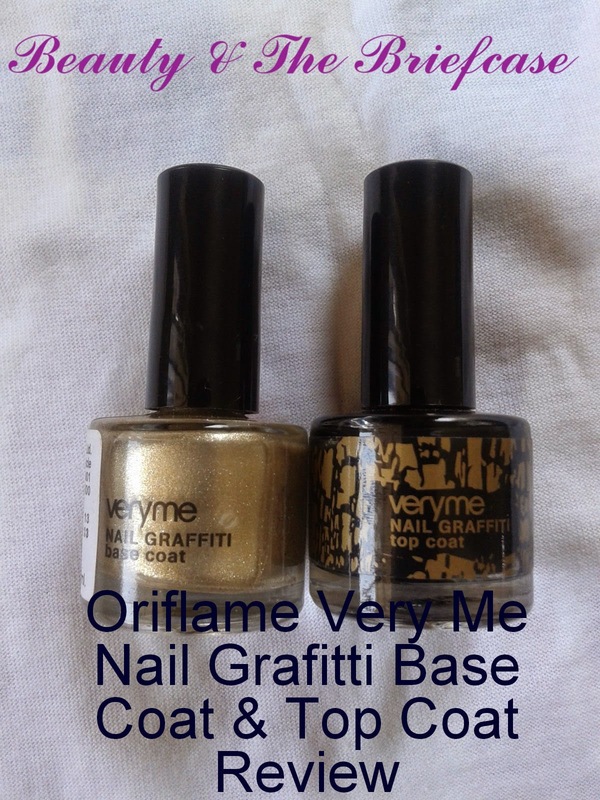 Anyway today what I'm going to talk about is the Oriflame Very Me Nail Graffiti in the shades Gold & Black. 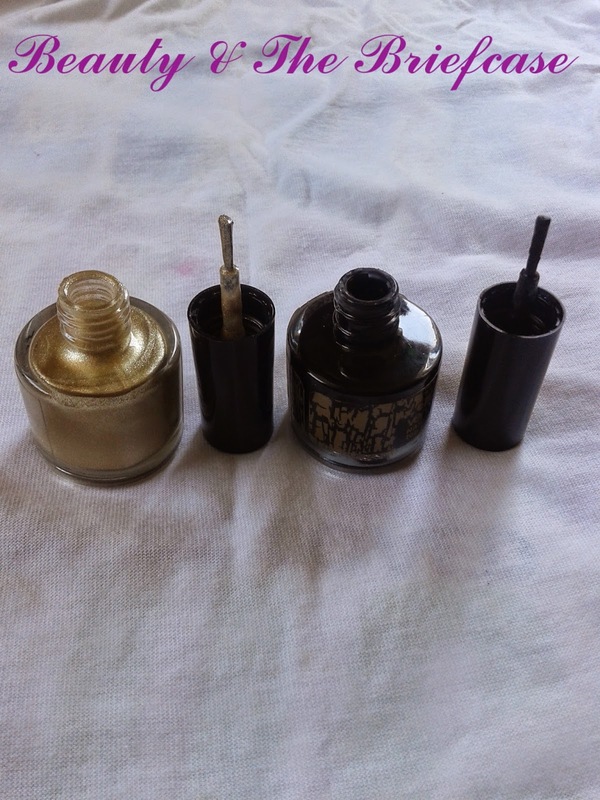 Gold is the base coat and Black is the graffiti top coat. So, today I'm gonna do a quick review for you on these nail paints. The base coat is available in 3 shades Silver, Fuchsia & Gold. 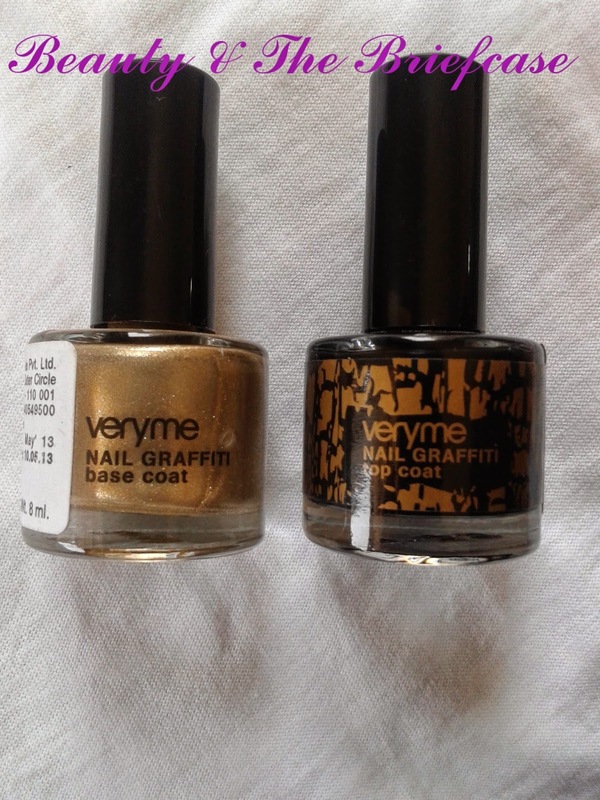 I got the gold shade cause i anyway wanted a gold polish in my stash. The top coat is again available in 3 shades Black, Blue & Pink. I got the black one as the gold and black combo looks so s*xy and its easily wearable. Would I Recommend? Oh yes! 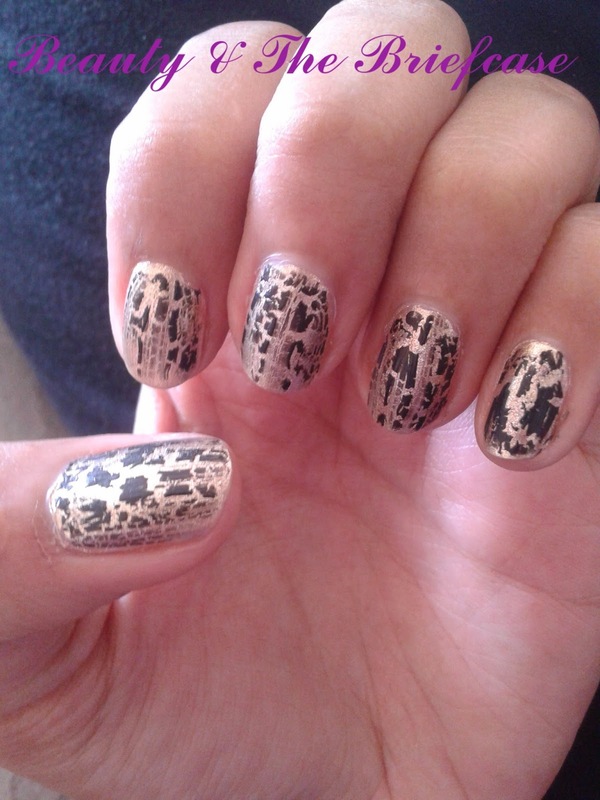 You need to try this if you like the crackle effects or you are into nail art or you just want to try something new. Ahhh!! this is soo pretty!!! I was never a fan of the crackle nailpolishes, but this one is so so good!!!! 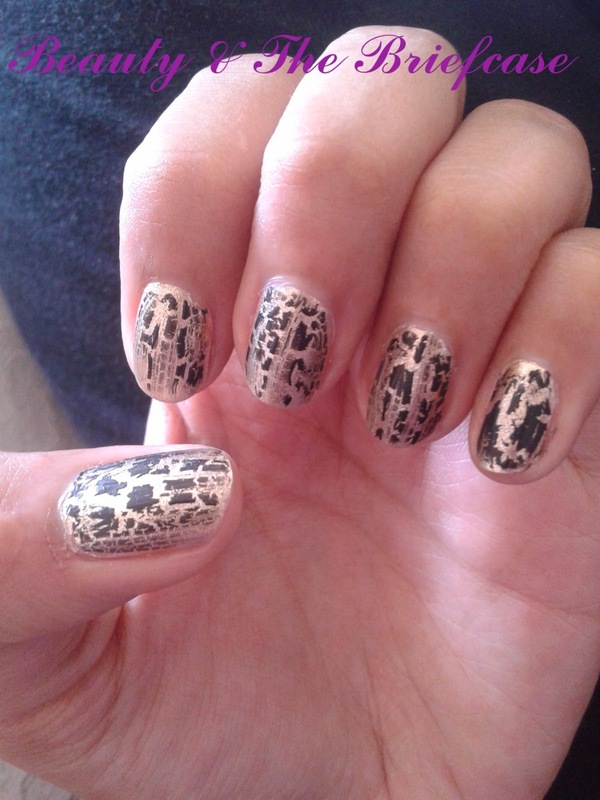 This is my first time with crackle nail polishes as well... It's really good... You should give it a try! WOW CRAKLE POLISH IS AVAILBALE IN INDIA TOO ?? THATS GREAT !! Yes Camy! and that too at a very decent price with good quality... You should check it out!!! does the top coat work on any other company normal nailpolish? ?